Currently, 19 state highway associations in the US and Canada are full members of Aurora. Another 17 universities and road weather information systems (RWIS) agencies are associate members and affiliates. Nine agencies are Friends of Aurora. 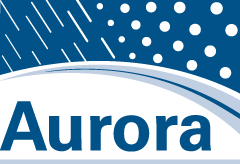 The Aurora program is supported by the Institute for Transportation’s Center for Weather Impacts on Mobility and Safety (CWIMS) at Iowa State University.